Be the first to share your favorite memory, photo or story of Wynoa. This memorial page is dedicated for family, friends and future generations to celebrate the life of their loved one. The life of Wynoa Allice Kitchens Martin (Suzie) will be celebrated at 2:00 pm on Saturday, April 20, 2019 at First Baptist Church Norman, Oklahoma (211 W. Comanche). Suzie was born August 13, 1925 to Roy E. and Alice Dove Kitchens in Alex, Oklahoma. Along with her five sisters and one brother, Suzie was raised to know and love God, and at an early age she asked Jesus into her heart and spent the rest of her life secure in His love for her. Suzie’s family settled in Oklahoma City, and in her early 20's Suzie was asked by her good friend, Joy Martin, to write to her brother, Lee Martin, while he was serving in the Navy during WWII. Suzie was faithful to write, and upon Lee's return from the war he and Suzie began to date. On January 30, 1946 Lee and Suzie were married in her home in Oklahoma City. Soon after getting married, Lee and Suzie moved to Norman, where they raised four children: Timothy Lee, Stephen Patrick, Andrew Kevin, and Sara Sue. Lee and Suzie were married for 45 years until Lee's death on January 28, 1992, two days short of the couple's 46th anniversary. Suzie was very active in the Norman community, serving on numerous boards and committees and volunteering for almost 20 years with the Norman Regional Auxiliary. She devoted her life to loving and supporting her husband and children by attending every baseball, basketball, and football game, every concert and play, and by opening her home to her children's friends and youth groups from church. Suzie played bridge with the same three friends for almost 30 years. 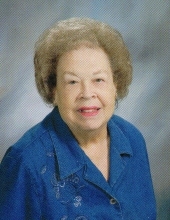 She was a member of First Baptist Church for more than 60 years, where she taught Sunday School and Vacation Bible School, worked in the Nursery, and was active in the FBC Women's Missionary Union. Suzie died peacefully on Friday, April 12, surrounded by love and into the loving arms of her Savior. She was a loving daughter, sister, wife, mother, grandmother, and great-grandmother. She was preceded in death by: husband Lee K. Martin, her parents, sisters Winifred Carson and Wilma Noack, and brother Paul Kitchens. She is survived by: children Tim Martin of Oklahoma City, Steve Martin and wife Vallerie of Cheverly, Maryland, Andy Martin and wife Kaye of Beaverton, Oregon, and Sara Martin Hildenbrand and husband Bill of Norman; sisters Wanda Hall of Oklahoma City, Wanita Wall of Joplin, Missouri, and Wynelle Meskiman of Plano, Texas; grandchildren Angela Martin Payne and husband Ryan of Cheverly, Aubyn Martin McTaggart and husband Scott of Vancouver, Canada, and Konnor Martin and wife Tana of Portland, Oregon; and nine great-grandchildren. In lieu of flowers, the family suggests gifts honoring Suzie's life be made to Samaritan's Purse (www.samaritanspurse.org) or First Baptist Church of Norman (www.fbcnorman.org). To plant a tree in memory of Wynoa "Suzie" (Kitchens) Martin, please visit our Tribute Store. "Email Address" would like to share the life celebration of Wynoa "Suzie" (Kitchens) Martin. Click on the "link" to go to share a favorite memory or leave a condolence message for the family.